Your brakes are one of the most important safety features on your vehicle, so if they begin to give you trouble, it’s important to visit an auto mechanic in Las Vegas immediately. Unfortunately, many auto shops focus solely on tire or oil change services in Las Vegas. Leavitt’s Auto Care, on the other hand, handles any issue your car may have; including brakes. Luckily, most brake issues can be caught before anything detrimental happens. 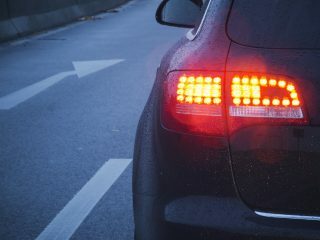 The brake system of a car is so imperative that the vehicle gives multiple warning signs if the system is starting to fail. We have all heard cars that make grinding or squealing sounds driving down the road, this is a warning sound that your brake system is in need of attention. 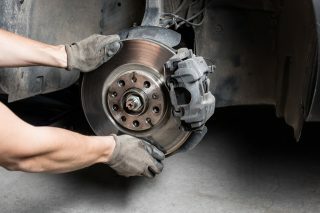 Anything out of the ordinary that occurs when applying your brakes can also be an obvious sign that an issue is arising. If your brakes pulsate or pull your steering wheel when you’re stopping, you need to get auto repair in Las Vegas immediately. The necessity of pumping your brakes to make them work is also a serious sign of trouble; this should never happen with your brakes. Don’t let your brakes wear down until they are an actual safety hazard.